Nobody needs to be convinced of how pleasant it is to have a good night’s sleep. But sometimes those nights depend on getting good sleep hygiene habits , and everything that involves changing habits always costs us a little more. If for that you need to convince yourself, think that sleeping well is a way to take care of your health as important as eating a healthy diet or exercising on a regular basis . These are the benefits that a good dream brings to your body and your health. Sleeping is essential for different aspects of brain functioning that include cognitive function , concentration and productivity. All are negatively affected when we are deprived of sleep. Some studies show it. For example, one that analyzed the work of several medical interns who followed a traditional shift rotation and compared it with the work of interns in a rotation that allowed them to sleep a little more. The former committed 36% more errors than the latter. Another study concluded that lack of sleep negatively affects some brain functions as does alcohol intoxication , while good sleep has been shown to improve task-solving skills and improve memory in both children and adults. The duration and quality of sleep have a great effect on many risk factors, some of them related to chronic diseases , such as cardiovascular diseases. A review of 15 studies concluded that people who sleep poorly have a higher risk of having a heart attack or stroke than those who sleep between 7 and 8 hours a night. Several studies have shown that reducing sleep hours experimentally affects blood sugar levels and reduces insulin sensitivity. In addition, poor sleep habits are related to adverse effects on blood sugar levels compared to the general population: those who often sleep less than 6 hours a day have an increased risk of developing type 2 diabetes . Some mental illnesses, such as depression , are strongly related to poor quality sleep and sleep disorders. It is estimated that 90% of patients with depression sleep poorly , and sleep problems are also associated with an increased risk of suicide. It is not just insomnia. Also, people with other sleep disorders , such as obstructive sleep apnea , have higher rates of depression than people who do not. Even small reductions in sleep have been shown to worsen the immune functionof our body. In a large study evaluating the development of a common cold after administering the virus to the volunteers through the nasal route, the scientists concluded that people who slept less than 7 hours were three times more likely to take a coldthan those who slept 8 hours or more. A bad dream is very much related to gaining weight . People who sleep less than they should tend to weigh significantly more than people who sleep as necessary. 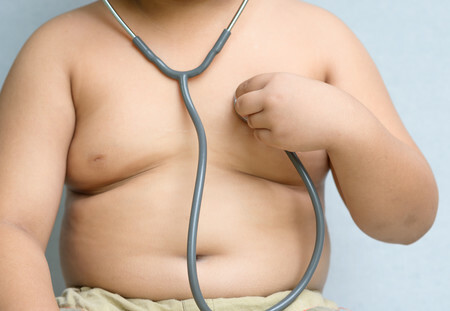 In a review of dozens of studies , scientists concluded that children and adults who sleep little have, respectively, 89 and 55% more likely to become obese . In the relationship between sleep and overweight, all the mechanisms are not clear, but it is believed that they are mediated by many factors, including hormonal imbalances and fatigue to exercise . A good sleep improves athletic activity and sports performance . In a studyconducted with basketball players, a longer sleep significantly improved speed, accuracy, reaction time and general well-being . On the other hand, in a study conducted in women who were not professional athletes, the lack of sleep was related to a slower walking, less force in the grip of objects and in general a greater difficulty to carry out independent physical activities. A bad dream reduces our ability to interact socially. For example, one studyshowed that people who had not slept that day were much less able to recognize expressions of anger or joy in facial recognition tests. Scientists believe that this occurs because lack of sleep affects our ability to recognize important social cues and to process simple emotional information .